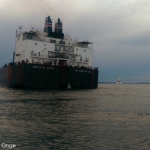 The 108 meter long, 3248 dwt cargo ship Omskiy 107 ran aground on the Volga River near the 2227 kilometer mark. 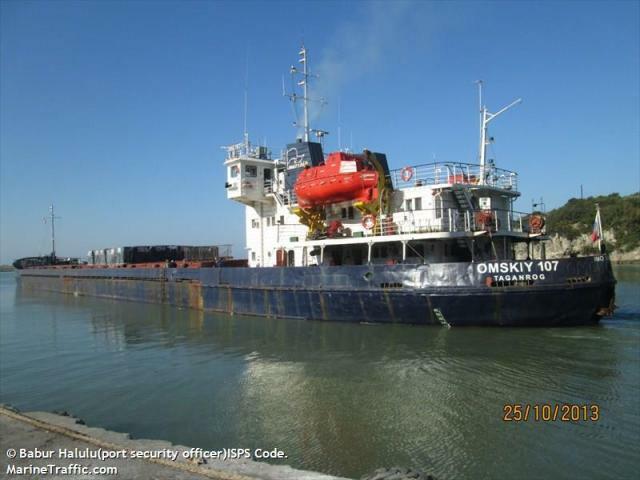 The Omskiy 107 was en route to Iran from Privolzhskoye with 2765 tons of barley when the vessel grounded on its starboard side when the vessel had steered too far outside the fairway. No reports of injuries, damage or pollution. The Omskiy 107 may be lightered before it can be refloated. The 82 meter long, 3085 dwt cargo vessel Poline capsized and sank in the Sea of Japan. The Poline was en route to Taytsang, China from Plastun, Russia with 2034 tons of lumber when it suffered a cargo shift in stormy weather. The crew was able to send out a distress call before it Poline overturned. 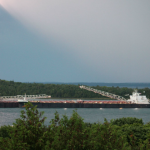 Several nearby vessels responded to the scene. 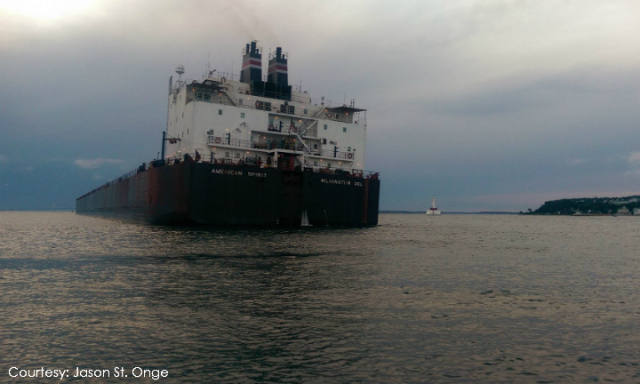 The cargo ship Aldan and Golden Suek along with the bulk carrier Simferopol and Hanjin Newport arrived on scene finding Poline’s keel. The Aldan rescued 5 crew from a liferaft and the Golden Suek rescued another 2 crewmen. 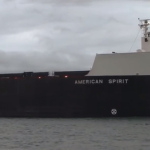 The Hanjin Newport rescued 2 men, but one later died. Reports state one crewmen was still missing.